Is it snowing in Vail ?Thank you! (1) At least one overnight stop, (2) requires a whole day, (3) requires more than half a day &ndash; you may have time for a few turns (4) arrive by lunchtime and ski all afternoon, (5) there is a main airport within an hour of Vail. (1) There are no buses or taxis to Vail, (3) there are slow or infrequent buses / trains available, (5) getting to the resort is easy with frequent bus / train connections. (1) No places to stay in/near Vail, (3) a few places to stay in the resort, (5) a wide variety of accommodation suitable to suit all budgets. (1) No luxury accommodation available, (3) just one or two luxury hotels so book ahead, (5) several up-market hotels in Vail. (1) There are no child care facilities at Vail, (5) the resort has excellent child-care facilities including at least one reasonably priced creche. (1) Occasionally gets enough snow for skiing, (2) is often closed due to a lack of snow, (3) occasionally suffers from a lack of snow, (4) rarely suffers from a lack of snow, (5) Vail is snowsure even in the poorest seasons. (1) Vail relies entirely on natural snow, (3) there are just a few snow cannons, (5) there are snowmaking facilities on all pistes. (1) There are no snow groomers at Vail, (3) occasionally some pistes are left ungroomed and in a poor state, (5) all the runs at Vail are groomed daily. (1) there is nowhere to ski when it is windy or visibility is bad and lifts often shut, (3) there are some trees for poor visibility but main lifts sometimes close, (5) Vail is mostly in forest where you can ski in flat-light and windy days, lifts rarely close. (1) If snow conditions are poor at Vail, it will be poor everywhere nearby, (3) there are good alternatives within an hours drive, (5) other locations on the same lift pass provide a rich variety of snowsure ski conditions. (1) Vail usually has poor snow conditions compared to other resorts in region, (3) has average conditions for the region, (5) usually has the best snow conditions in the region. (1) The staff at Vail are rude or unhelpful, (5) lift staff at Vail are pleasant, cheerful and eager to help. (1) The ski runs are featureless and unvaried, (3) the ski runs are varied but not extensive enough for a week, (5) Vail has diverse and interesting pistes including forests and high alpine terrain. (1) No intermediate terrain at Vail, (3) intermediate skiers will get bored after a few days, (5) vast areas of cruising runs. (1) Not even a kicker at Vail, (3) average sized park quite well looked after, (5) huge park area and expertly crafted pipes, jumps and boardercross trails. (1) There is nowhere to go for cross-country skiing around Vail, (3) there are some cross country trails available, (5) the area features many spectacular and well maintained cross-country trails. (1) No designated luge or toboggan runs, (3) there are toboggan runs that open quite often, (5) Vail has long and well maintained luge / toboggan facilities suitable for all ages. (1) Overall, Vail is one of the most expensive ski resorts in the country and not worth the money, (3) overall represents average value for money, (5) overall offers the best value resort in the country. (1) Overall, Vail is one of the most expensive ski resorts in the world, (3) overall it offers pretty average value for money compared to resorts from other countries, (5) internationally the resort offers excellent value for money. Let's get a current Review here at the end of an epic season NOW! Vail is awesome....there is something for everyone. 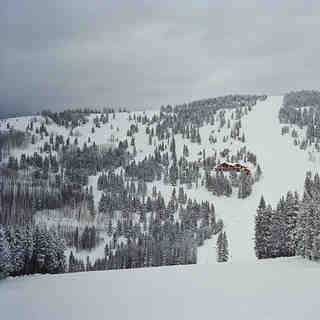 For those who love powder, Vail is the place!! The back bowls are unmatched, and the lifts are quick and efficient. Great resort! 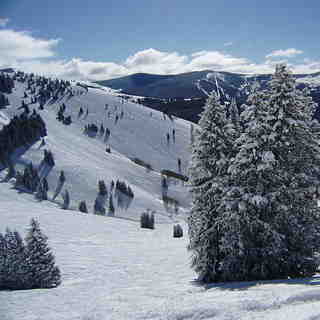 Vail is great, When there is fresh snow it is up to the back bowls. You go down for a day and still did not surf half of it. On the top of the chinabowl you can make a drop from a cliff just to get in. The aerea is so wide that you feel really free. When i was there it was not crowded. You have to visit vail. It is awesome. Vail is HUGE, but where is the tough stuff? What they call double-black is black everywhere else. There are a few cliff runs, but very little tough stuff for such a huge mountain. The crowds are HUGE though! Huge can barely describe it. The Back Bowls are bigger than many other resorts. Fun trees in Blue Sky Basin. Great cruising in Northwoods and the rest of the front side. Just awesome.